Beverly Middle School Homeward Bound: Tomorrow is Throwback Thursday! 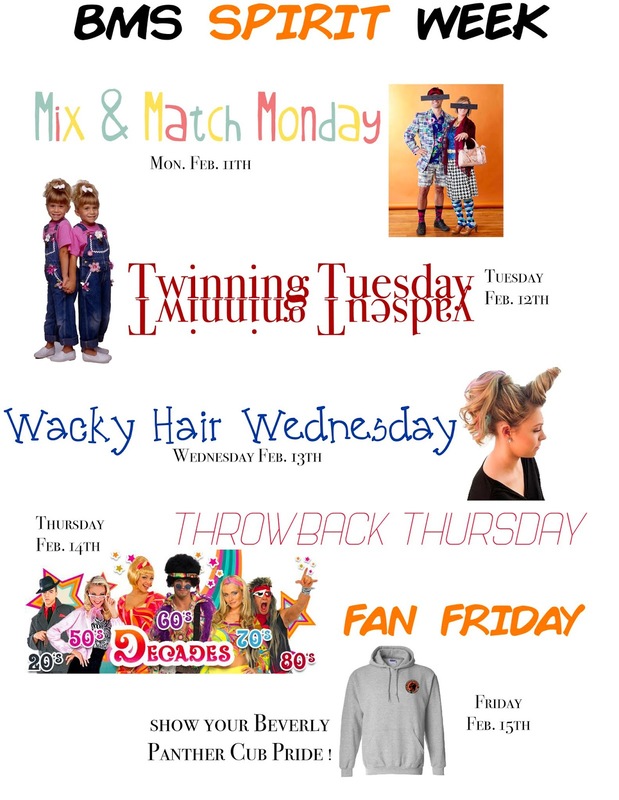 It's BMS Spirit Week. Tomorrow is Throwback Thursday! Dress from your favorite decade. Kids Fly Tying Program - Register Now! Big Buck$ - Sell! Sell!! Sell!!! Don't Get Left Behind - Order a Yearbook Now!